Sell laptops, tablets, phones and more! Select your device below to get the best offer instantly! Our website and services are secure, protecting every bit of your personal information. Every sold laptop, tablet and smartphone are individually processed to permanently erase any customer data. We pay more for laptops and other electronics. 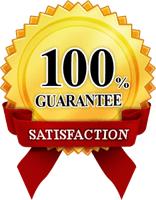 Some other websites try to pay a little as possible to make their profit margin as large as possible, while our quotes are very fair and reflect the market value. It is our mission to create a customer-friendly place that’s not driven by greed where people can recycle electronic gadgets and be happy with their experience. You can sell us your old laptop and use the money to buy a new one. Get quick cash for your laptop, tablet, or other electronic device! Our online quotes are very precise for good or even broken laptops and other devices. The process of selling laptops, iPhones and other electronic devices to us is extremely safe and easy. We’ve perfected our routine over the years to deliver the most convenient way to sell used computers quickly. Free shipping. Every time you sell us your laptop, iPhone, tablet, or smartphone we pay for safe, easy shipping via UPS. We e-mail you a pre-paid shipping label, you just box up your items to sell us and drop the box off at the nearest UPS store. You don’t need to spend a dime on shipping services! We stopped sending empty boxes in 2015 due to our continued desire to reduce waste and trash. Thanks to the change, we offer even more money for laptops and smartphones and our turnaround time is cut in half. Most importantly, our desire to recycle electronics is driven by our mission to protect the natural environment by reducing e-waste. We make sure that all of the good parts from laptops and electronics that we process will be reused. Any of the broken or unusable ones are recycled in the best possible manner. We focus on customer satisfaction. 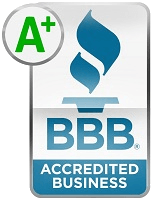 Since the beginning of our operation, we maintain great customer ratings with companies such as the BBB and are available via social media services. Sell us your laptop and help us build a better future of online trading. Broken laptop? Broken iPhone? No problem! We’ll still buy broken laptops, broken iPhones, broken tablets, and other broken electronics. I got a quote for my broken chromebook which was $16. I got the check in the mail right after I submitted my laptop. Customer service helped me with the questions I had. By far the best website of it’s kind. This company is awesome!!!! I get my money the same day they receive the product. I will continue to use this company and refer to my friends. I was skeptical of selling my laptop online but I am glad that I went with this company. They offered me a fair price, sent me a prepaid shipping label, and sent me a check in the mail quickly. The whole process took about a week and I have a check for the full amount they offered me. I don’t know why there are not more positive reviews for them, but my experience with them was a very pleasant one.